The Hotel Marais Bastille Paris, a real haven of peace on the Right Bank of the Seine. This modern hotel is distinguished by its designer-style decor, which is understated, chic and bright. From the wood used in the bespoke furniture, to the white marble in the bathrooms and the natural beauty of the stone, the high-quality materials bestow on the Hotel Marais Bastille a soothing atmosphere and the sensation of a real haven. 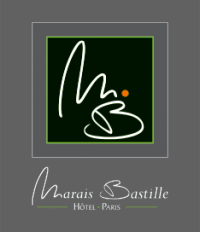 Offering a friendly welcome and attentive service, the Hotel Marais Bastille Paris guarantees guests a stay with no false notes…where conviviality and comfort are order of the day.